While Channel or Custom Dimension might be valid candidates, C has got to be for Conversions – the lifeblood of any business. A conversion is a key action that’s valuable to your business, like an email sign-up or enquiry form submission or better still, a purchase. 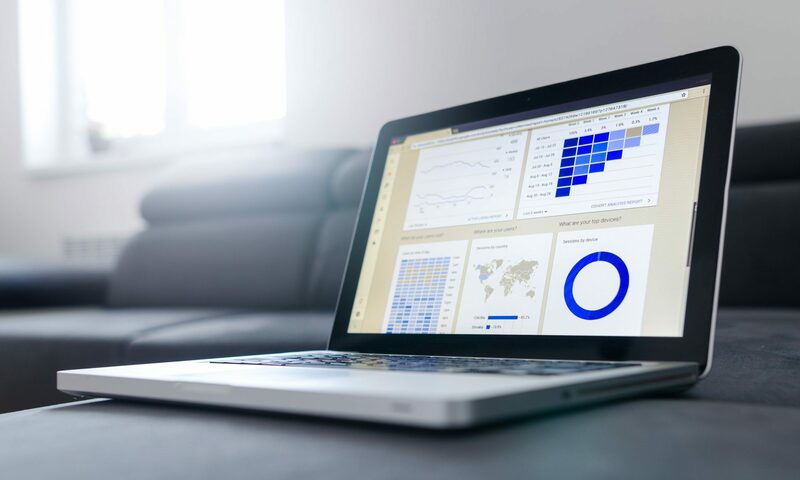 If you’ve set up e-commerce tracking, you’ll be able to see conversion data on sales; otherwise, they’ll be based on an action (goal) you define. And if you don’t have conversions defined, how will you know the effectiveness of your ad campaigns or marketing channel/spend? Google makes a distinction between micro and macro conversions, micros being an activity which tend to move a visitor to a macro conversion like a sale. But for the small business, micro are macro. Tips: Loose the woolly conversion goals like ‘spends 5 minutes or more on the site’. Big deal, maybe they fell asleep. Focus on the actions that’ll move your business forward. And check your conversions after a site migration or redesign – it’s easy to forget URL-based conversions can get broken. If it’s an oversight to have the wrong goals, or even none at all, it is a criminal offense (punishable by a spell in HMP Styal-sheet) to have none showing in your Adwords. If you need help, I’ve written a step-by step guide to connecting Analytics with Adwords. Finally, if you want to set the office alight with a rousing sound when an analytics goal is fired, check this blog post! B is for Bounce Rate, one of the key indicators of your site’s engagement. A bounce is a single page, non-interaction visit. In other words, it measures visitors that comes to your site without seemingly doing anything. But how little did they read? How much did they scroll? How much of the page video did they watch? How long did they stay? All we really know from a Bounce is that they didn’t click on to another page, or otherwise ‘interact’. They might have been happy with what they saw; they might have avidly digested the whole 2000-word article, or watched the entire 20 minute video. Or maybe they called the phone number they were looking for. In other words, unless you can measure other aspects of single-page engagement, you’re not getting the whole picture. So capture any interaction. Track video views, phone number click-to-call clicks, even page scrolls, as Events. An event is an interaction, and once an event is fired, the visit is no longer a bounce. It’s still only a single page visit, but you’ve got far more insight into the user’s behaviour. And of course, entice them interact with a clear Call-To-Action (that is of course tracked as an Event). And yet, at the highest level, Bounce Rate should be take with a grain of salt. It’s when you Segment it that you get far better and actionable insights. To get meaningful insights into Bounce Rate, drill-down to something more specific. For example, look at the Bounce Rate for Mobile vs Desktop traffic; it’s always going to be different, that’s the nature of the beast, but if there’s a massive difference, make it a priority to do something about it. Likewise, if your PPC traffic has a ridiculous BR, examine page relevancy and Quality Score. Equally, if your site Bounce Rate is low (and we’re talking about <10%) the chances are you’ve got a Analytics code mis-configuration problem. I’m shocked at the number of WordPress sites I’ve seen with multiple Analytics code blocks. This deflates BR, so if you see single-digit BR you’ve either got the most sticky site there is (well done!) or something is wrong. And don’t forget, we know Bounce Rate is an SEO ranking factor so a focus on reducing it will help both your audience and your rankings! In this example, there’s one page that stands out with a massive Bounce Rate. This page is losing nearly 90% of those who land on it (good job it’s low traffic). Looking at the page, all the links are off site. Think about how you could better retain this traffic, with more in-site links and CTAs.